GRANDLINE-WORKS celebrates its 15th year in business. 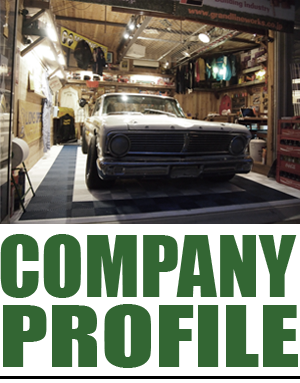 The Japanese branch strives to continue Grandline-Work’s original mission of spreading the “Garage Culture”, by building garages and garage houses. In the US we want to introduce traditional Japanese Buildings and architectural techniques that are authentic and uniquely Japanese. There are many buildings in the US characterized as “Japanese” but are decidedly not. We wish to create a cultural exchange network where we are actively participating, educating and creating traditional Japanese cultural architecture. GRANDLINE is a general trading firm that specializes in importing building materials and miscellaneous goods. We are currently the authorized Japanese importer and distributor (SWISSTRAX JAPAN) of SWISSTRAX USA. Using our 15 years of cumulative experience with GRANDLINE-WORKS, we aim to provide new innovative products to our customers with excellent service. GRANDLINE-WEST is based in Los Angeles and it’s role is to discover new products and services as well as to introduce Japanese culture to the US. In order to introduce Japanese Culture to the US, we plan to introduce buildings constructed by GRANDLINE-WORKS, as well as traditional Japanese handcraft arts which reflect genuine Japanese craftsman skills. We also plan to bring our motorsports division, HAYABUSA racing to the US. We hope to participate and have positive impact in both motorsports and charity events.